I first reported on "The Last Exorcism" back in November of 2009 when the film was titled "Cotton." 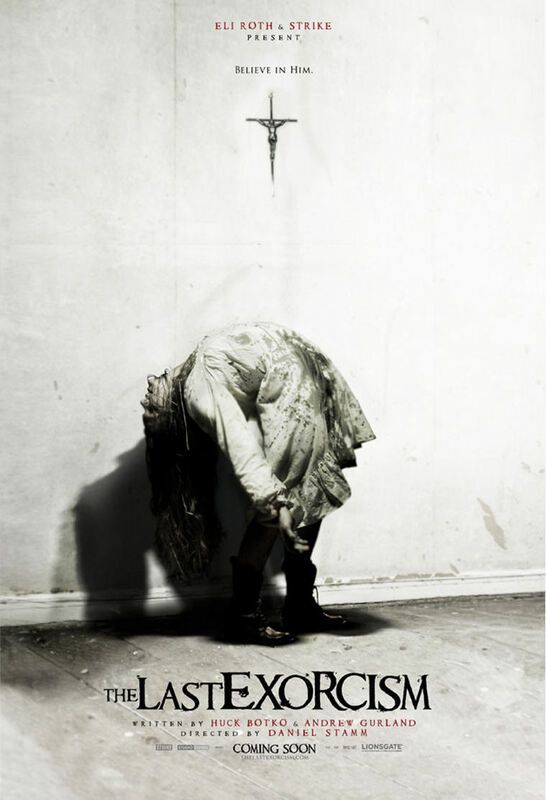 Directed by Daniel Stamm and penned by Huck Botko & Andrew Gurland "The Last Exorcism" is in the same vein as Behind the Mask: The Rise of Leslie Vernon, [Rec] or The Blair Witch Project, mixing a documentary style with a fictional tale. Read the full synopsis below for in depth description of what sounds to be a chilling horror. Official synopsis: When he arrives on the rural Louisiana farm of Louis Sweetzer, the Reverend Cotton Marcus expects to perform just another routine “exorcism” on a disturbed religious fanatic. An earnest fundamentalist, Sweetzer has contacted the charismatic preacher as a last resort, certain his teenage daughter Nell is possessed by a demon who must be exorcized before their terrifying ordeal ends in unimaginable tragedy. Buckling under the weight of his conscience after years of parting desperate believers with their money, Cotton and his crew plan to film a confessionary documentary of this, his last exorcism. But upon arriving at the already blood drenched family farm, it is soon clear that nothing could have prepared him for the true evil he encounters there. Now, too late to turn back, Reverend Marcus’ own beliefs are shaken to the core when he and his crew must find a way to save Nell – and themselves – before it is too late. An official website for "The Last Exorcism" has been launched and stay tuned here for more updates as they develop.